This spring we barely managed to get a few vegtables planted. We experimented with some different crops to see what kind of results we would get. 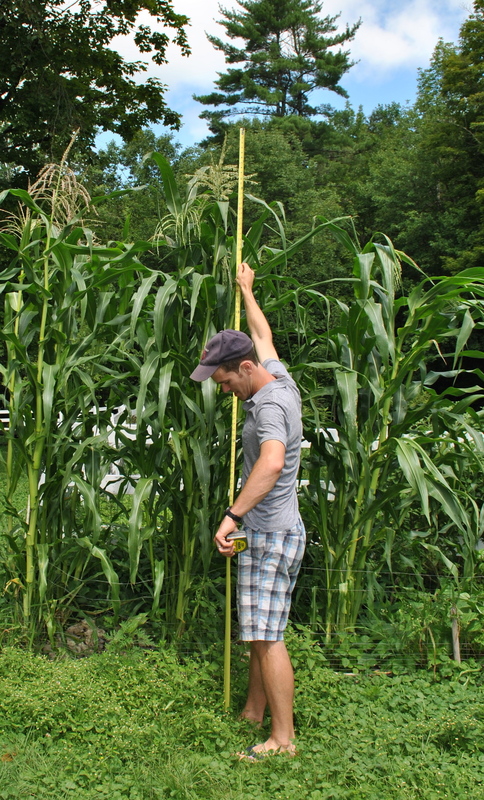 Our corn grew higher than we thought! Dan loved to go outside and measure it. Although it looks tasty, the corn didn’t end up tasting that good. 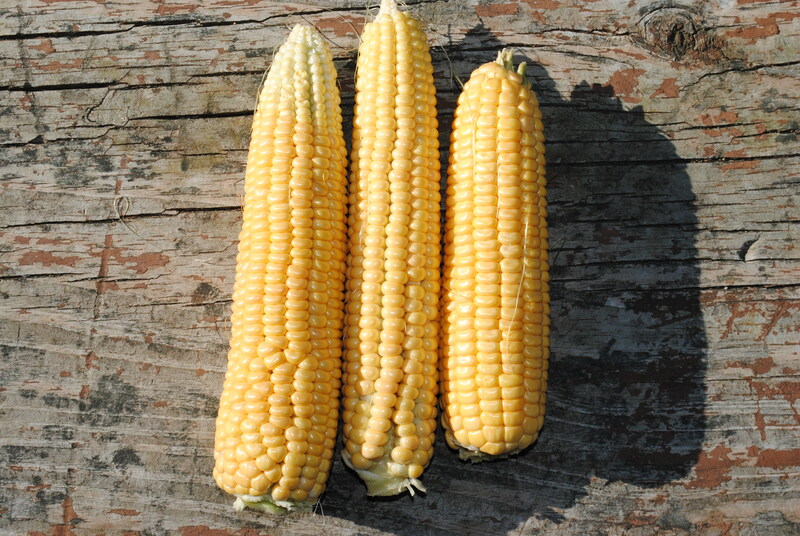 We planted an heirloom variety that tasted like the frozen corn on the cob you get in a college cafeteria. The chickens have enjoyed pecking at the corn though! We had a bumper crop of basil! 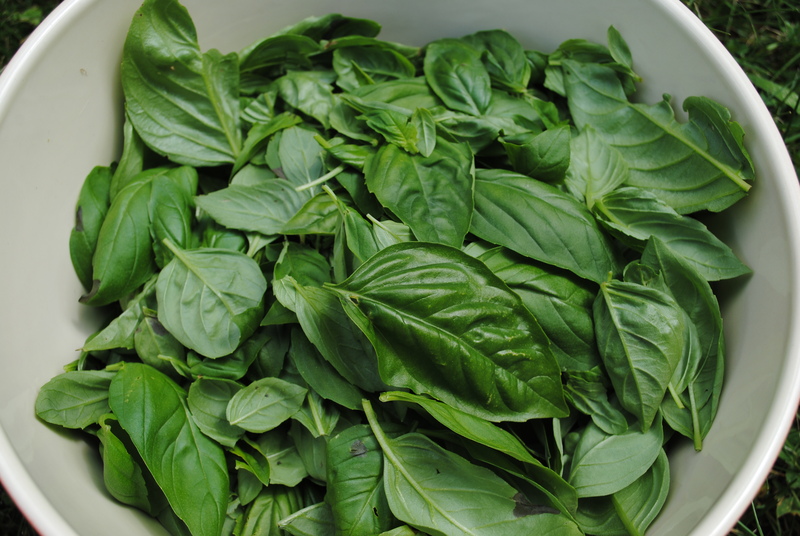 I love basil and pesto, so I was happy to enjoy all the basil we had. This weekend I’m hoping to make some pesto and freeze before its all ruined by frost next week. Unlike the corn, our heirloom tomatoes were delicious! 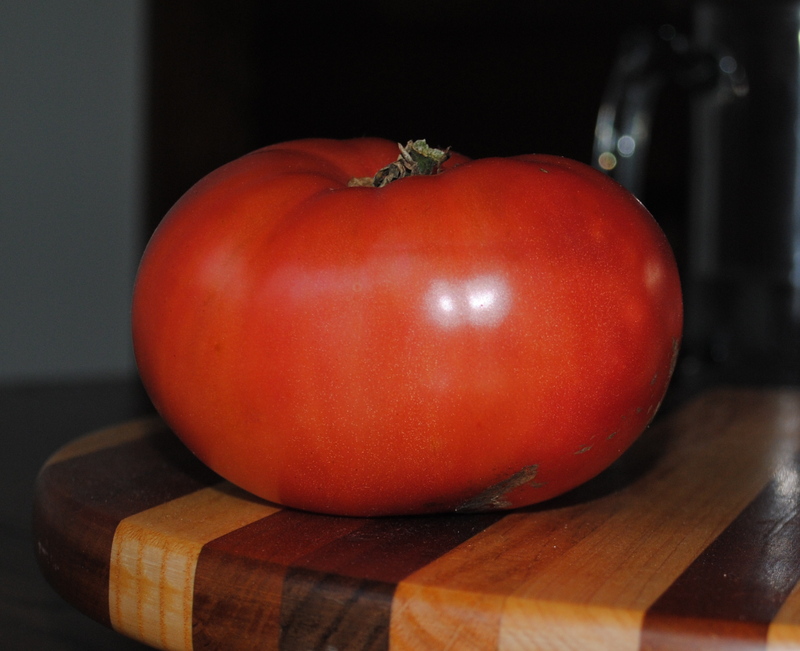 I didn’t take many good photos of our tomatoes, but here is one below. Most of our tomatoes weren’t round like this one though. They were bumpy and lumpy but still delicious! 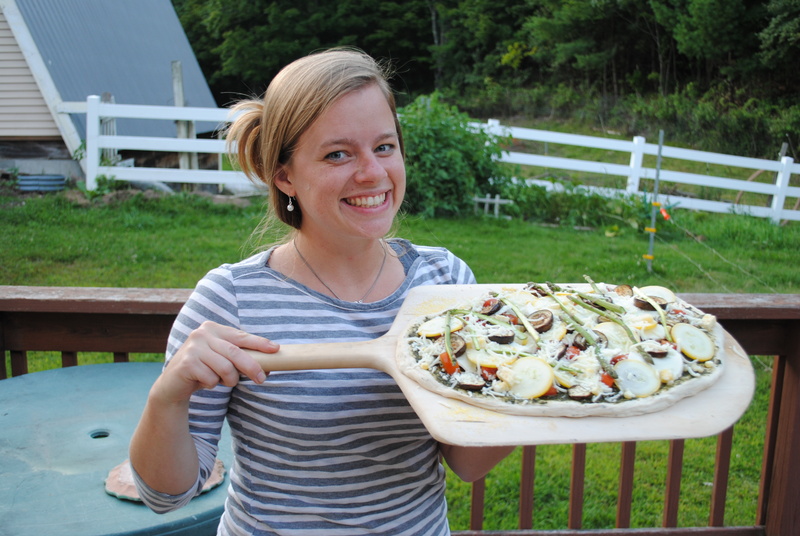 My favorite thing to do with the fresh summer produce is throw it on a pizza with some fresh mozzarella cheese. 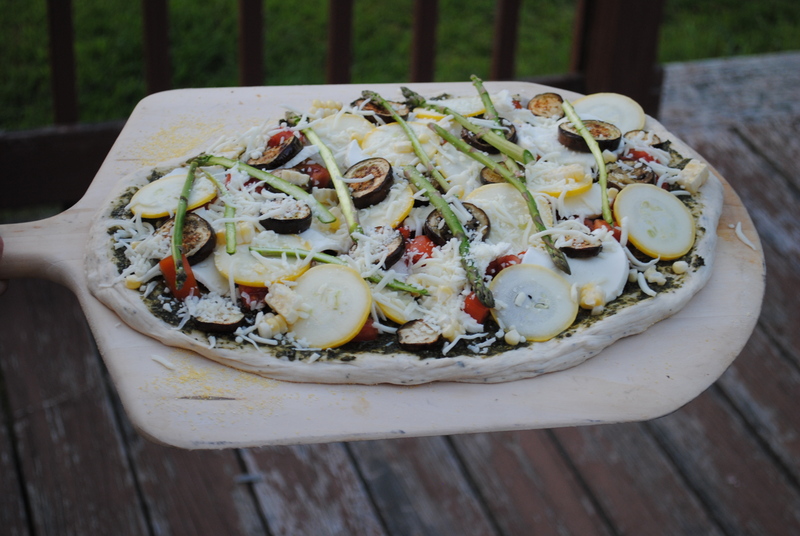 This pizza has some summer squash, and eggplant on it from our friends garden and homemade pesto on the bottom. I hope you have enjoyed the harvest from your garden this year. That basil looks amazing! Did you bring any frozen pesto with you to Chicago?